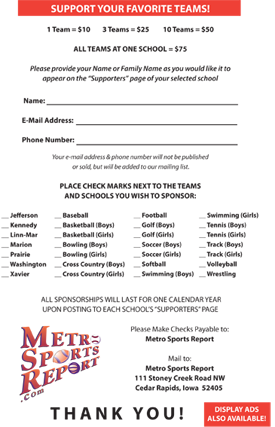 Interested in sponsoring a Linn-Mar team on the Metro Sports Report web site? Just download the Sponsorship Form. Thank You to all of the sponsors who make the presentation of Linn-Mar High School Sports possible!